I'm excited to see a resurgence of the value of design in startups. Which is often a leading indicator and a pilot for the way the rest of the world goes. We’ve been fans of Monocle magazine since its release in 2007. Published 10 times a year, Monocle provides intelligent content that covers international affairs, business, culture, and design. The company delivers a fresh perspective on the world through well-crafted journalism and design. 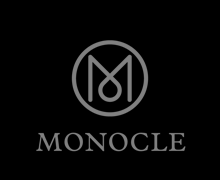 Monocle has grown into a leading content provider with retail stores in London, Hong Kong, Tokyo, and New York. The magazine chronicled the first five years in this beautifully filmed video. We’ve recently tuned in to Monocle 24, a round-the-clock radio station, and its program, “The Entrepreneurs.” Monocle describes the show as “a weekly business briefing putting a spotlight on the people, the places, and the ideas driving innovation in the industry.” Although not always specific to design, the February 29th edition of “The Entrepreneurs” featured Warby Parker co-founders David Gilboa and Neil Blumenthal, and Tom Hulme, design director at IDEO‘s London office. We featured Neil Blumenthal on Day 64, so we thought we’d share a bit of wisdom from Tom Hulme with you today. For those of you unfamiliar with design thinking giant IDEO, it is a global design and consultancy firm that takes a human-centered approach to innovation. Hulme’s interview summarizes the benefits of showing empathy towards users, the opportunities that piloting an idea provides, and why planning scares the hell out of him. He also tells a great story about IDEO’s recently piloted Walgreens stores in Chicago. While prototyping is a great way to quickly test things, Hulme says “Instead of prototyping behind closed doors. We are actually piloting things now. A pilot is a real launch and we can throw things into the world.” The Walgreens pilot store was a success, and there are now 20 pilot stores in Chicago. Today, there are few barriers between an idea and the ability to test it on potential adopters. At Kern and Burn, we’re learning every day. We don’t know what is going to happen next, but we’re so thankful that so many of you are passionate about the same things that we are passionate about. Check out Monocle’s “The Entrepreneurs” to hear more from the brilliant minds leading innovative companies around the world.